Edinburgh, 21st June 2017 – Edinburgh Napier University and the Edinburgh International Conference Centre (EICC) have launched the UK’s first MSc in Business Events, a degree only currently available at undergraduate level across the UK, with the first intake of candidates commencing study this September. The Master’s degree has been developed by Edinburgh Napier University (ENU) – Scotland’s top university for hospitality, tourism and events management, in partnership with the EICC, Scotland’s leading conference venue, which will be providing work placements for the MSc students as well as delivering guest lectures as part of the course at ENU’s Craiglockhart Campus. 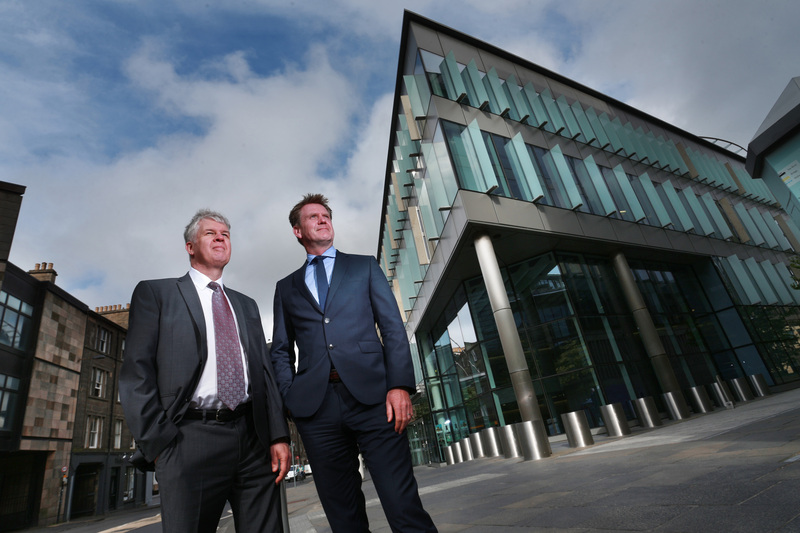 Pictured above (L-R); James O’Kane of Edinburgh Napier University and Marshall Dallas of the Edinburgh International Conference Centre (EICC). Pic by Stewart Attwood.